BROWNS Post driver 3pt linkage post driver mounted or will fit to TRIMA loader. 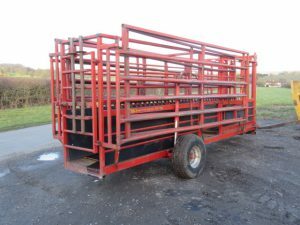 FLEMING TB5 5ft Tipping Transport Box 5ft Tipping transport box. CHASSIS for Sprayer/Fertiliser Spreader Chassis for sprayer/fertiliser spreader; ideal for ATV/quad. 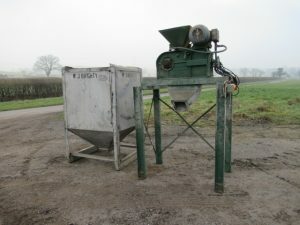 RICHARD WESTERN/BAMLETT ROMIX 95 Cement Mixer pto Cement mixer; even comes with original manual. 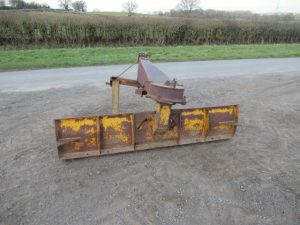 BOMFORD 3pt Linkage Grader Blade 3pt Linkage grader blade, 6ft6” wide. BAMFORD Single Phase Roller Mill Single phase roller mill with hopper. INGERSOLL RAND P70WP Twin Tool Compressor Twin tool compressor with 3 cylinder PERKINS engine; 1998; starts and runs well. 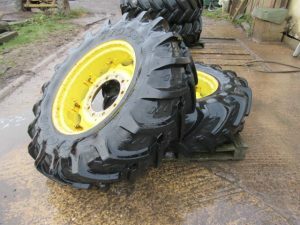 KLEBER Tyres Pair of tyres on JD rims and centres; 380/85 R28, one 95% tread, one 60% tread. 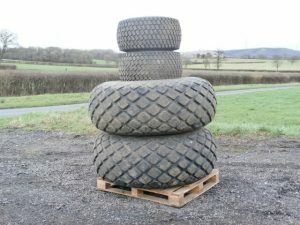 GRASSLAND Wheels & Tyres Wheels & tyres to fit JD1950 4wd; fronts 14.5/80-18, rears 18.4/26. 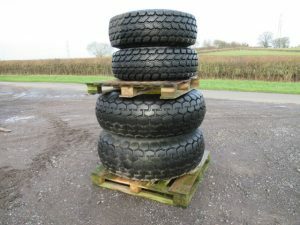 GRASSLAND Wheels & Tyres Wheels & Tyres to fit MF6150, 2 x 23.1-26 and 2 x 31x15-50. BROWNS Post driver Post driver with hydraulic side shift; 226kg weight; suitable for 50hp plus tractors. 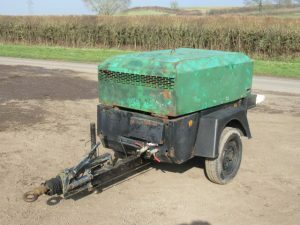 BROWNS 4.5m Grass Slitter Hydraulic folding grass slitter; very tidy. 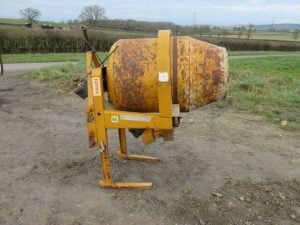 LAWRENCE EDWARDS PTO Cement Mixer PTO Driven Cement mixer. KIDD Saw Bench Saw bench with sliding table and log splitter. 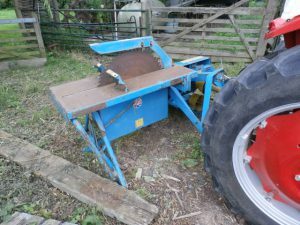 IAE Chieftain Rotating Crush Rotating rump crush with electric Gallagher weigher, super scoop and extension; in good condition. TYLER Mobile Cattle Race Cattle race with automatic yoke; makes TB Testing so much easier.